I have talked about my search for beauty solutions before & I have a new piece to my skin routine puzzle to share.... 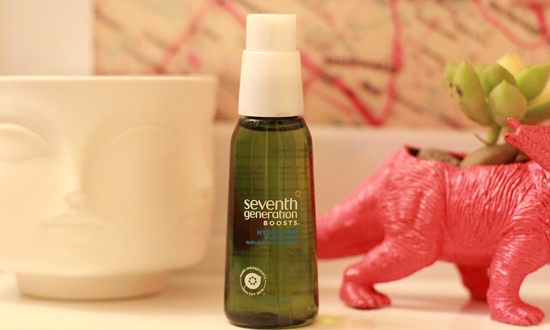 Seventh Generation serums. 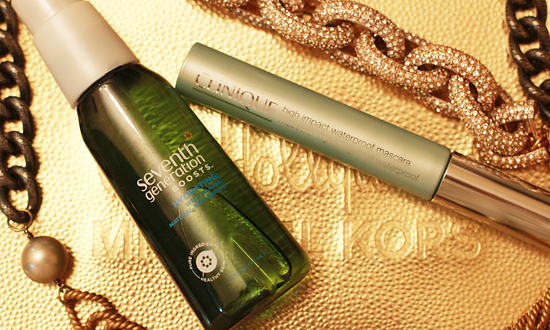 We all know that skin that glows from within starts with the perfect beauty routine. I have been drinking TONS of water, but still lacking the "glowy" quality that I have been searching for. After trying Seventh Generation’s skin serum for the past week my complexion definitely looks "boosted". I love that these products are pure, plant-based serums. Not only are they free of harsh preservatives, but they absorb quickly, & are free of chemical yucky-ness (i.e. parabens, phthalates, & synthetic fragrances)! 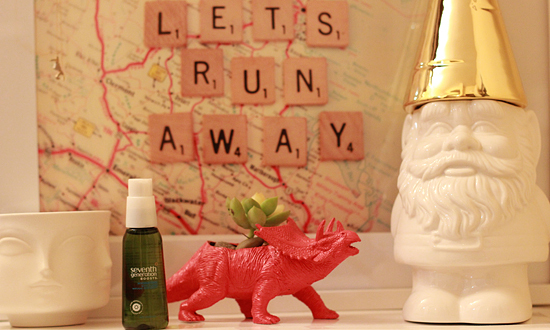 Despite technically being a face OIL, these products are hypoallergenic & won’t clog pores. 2 pumps each night applied to my damp face after washing is the perfect way to end the day - the product smells great, massaging it in feels amazing & it leaves my skin fresh & bright by morning! 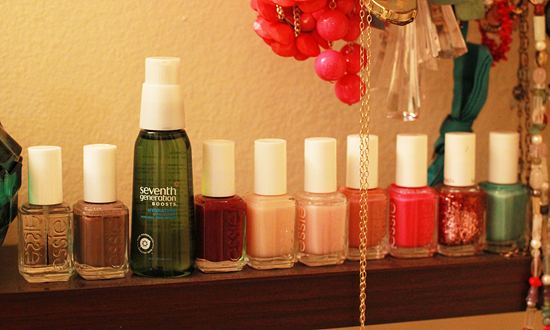 With 6 Boosts to choose from, Seventh Generation has one or a combination of serums for each individual. Looking for more information about these Seventh Generation products? If you liked what you read, click below to tweet about it! Have you ever tried skin oils before? P.S. Please vote for me in the H&M Style Competition & sign up to win the grand prize too! 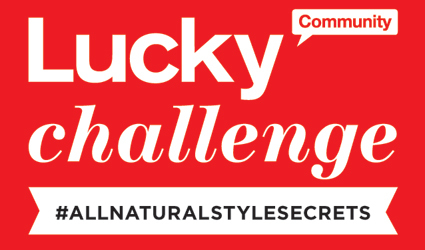 I received a free sample of this product from Lucky and Seventh Generation for use in connection with this blog post. very interesting! I will have to check this out! !